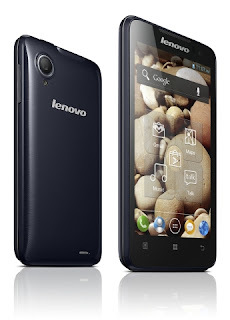 Lenovo has brought a flood of new smartphones to CES and the list is almost as extensive as Alcatel's! Before we start it's worth noting that all of these smartphones will run various versions of Android and they all have dual-SIM card slots! They will be available first in Lenovo's home market, China, this month and will then fan out to "select global markets" thereafter! As you can see from the family portrait above these are very good looking smartphones! So lets find out some of the juicy details about them! Starting with the flagship IdeaPhone K900! Some of you out there who are super up to date might already know about the K900, but if you don't it's Lenovo's brand new flagship device. It's got a whopping 5.5" full 1080p HD display and one of them brand new 2GHz dual-core chipsets from Intel! The PPI of this device is over 400, so the pixel density will be only marginally lower than the display on the new crop of 5" flagships from Sony and HTC! Other than that you've got your normal array of connectivity and sensor options and the rear-camera which has a 13MP sensor, equalling Sony's Xperia Z. 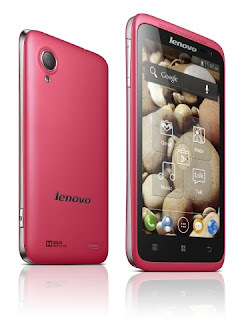 The device will arrive with Android 4.2 with Lenovo's skin on top which is great to hear! The stand out thing about this phone to us is the design! It's stunning! We love the squared off corners and the metal which is clad around every inch of this device! We're not sure how well it'd hold up to scratches and everyday use by goodness it looks beautiful! There's also the Lenovo S890, which its the company claims is best suited to those who use their phone for entertainment. They are targetting "young consumers of the “digital native” generation" who expect high performance and they demand a lot out of their devices. The phone sports a 5-inch screen with a slightly disappointing 960x540 qHD screen, an 8MP auto-flash camera and Lenovo crammed this into a body which is 9.3mm thick and is relatively heavy at 176g. Lenovo seems to be very proud of their their “loop” design which will hopefully make the phone feel thinner than it actually is and their 'Super Camera Software' but again we're not sure what that is! Next up is the similarly elegant Lenovo S720. The device's multimedia features are the stand out feature of this device. There's built-in Dolby Digital Plus and the same Super Camera software which the S890 has. The specs on this one include a MTK SOC,a 4.5-inch IPS display with the same 960 by 540 pixel resolution, and your two cameras will be 1 and 8MP shooters on the front and back respectively. The 2000mAh battery should be enough to get you through the day! The lovely Lenovo P770 is the next in line and this device is targeted towards business professionals who need a highly reliable handset. So to that end Lenovo will try to satisfy you with a giant 3,500mAh battery, which Lenovo has given the option of sharing some of its power with your other equipment through USB on-the-go support. That battery will give your dual-sim card options up to 30 hours(!!!) continuous talk time! We don't know the other specs at the moment but we expect they'll be similar to the device above! The device above with the interesting knobbly backing is the A800. This is an entry-level device, but given that is its target audience this is surprisingly powerful! There's a dual-core 1.2GHz chip and a 4.5-inch FWVGA screen that's 854 x 480 pixels and you've got another big battery, this time it's got a capacity of 2,000mAh! Unfortunately we couldn't find a picture of this little guy, but he's got a 4.0-inch WVGA, thats 480 x 800 pixel display and a processor of around about 1GHz will keep him running. Given Lenovo's lack of a photo and seemingly very little attention paid to him we assume he's the cheapest of the bunch and will probably end up delivering Lenovo the most sales in their emerging markets! 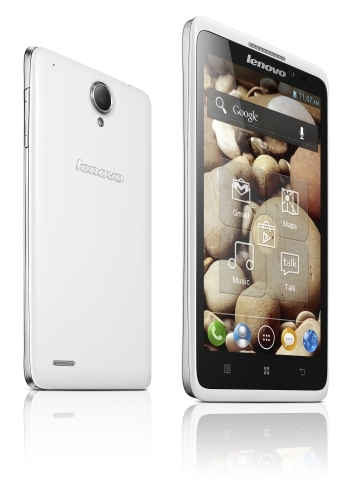 LAS VEGAS--(BUSINESS WIRE)--Lenovo (HKSE: 0992) (PINK SHEETS: LNVGY) today announced at the 2013 International Consumer Electronics Show a full lineup of new smartphones, designed specifically for different types of customers from entry-level and young professionals to advanced users. The portfolio, which includes five new models, will be available in China and select global markets from January 2013. Each product from the range offers a specific configuration tailored for a distinct user group, with leading specifications in their class and pricing that is competitive. The range starts with two new S-series smartphones, packed with multimedia and entertainment features. These models are designed for young, urban professionals, with special attention paid to design and optimization for apps favored by these users. There is also a new model from the P-series for professionals, featuring long battery life, special security and anti-virus features. The range concludes with two new A-series models, featuring advanced smartphone functions at an affordable price for new users and the budget-conscious. The entire portfolio features dual-SIM slots, larger, higher resolution displays and enhanced specifications. Young consumers of the “digital native” generation have high demands for their digital products. Not only do devices need to offer the latest technology and strong performance, but they must look good as well. The S890 excels on all these fronts. The phone sports a 5-inch 960x540 qHD screen, for crisper images and more viewing area to share videos and hi-definition photos with friends. An 8MP auto-flash camera, complemented by Lenovo super camera software, takes photos in low light and allows photo in video and complex photo-editing. All of these functions are packed into a super-slim (9.3mm, .36-inch) and lightweight (176g, 6.2 ounces) package, sporting a uniquely elegant “loop” design that makes the product feel thinner and sexier. Young urbanites are constantly using their smartphones to view, edit and share multimedia content and the IdeaPhone S720 is tailor-made for these consumers. In addition to key multimedia enhancements like built-in Dolby Digital Plus and Super Camera software, the S720 optimizes the value of its configuration with a dual-core MTK CPU for enhanced performance and a 2000mAh battery to ensure the phone can easily handle greater power demands. The 4.5-inch 960x540 IPS display ensures that photos taken with the 8MP front camera or the 1MP rear camera can be viewed easily from wider angles, while dual SIM functionality provides easy switching from home to office networks for sharing. All of this is packed into a slim, 9.9mm (.39-inch) package with a unique “Loop” design, and comes in three color options so you will always look stylish while enjoying a full multimedia experience. Businesspeople demand more from their smartphones: more talk time, more security, more reliability and more options. The IdeaPhone P770 is a perfect complement for today’s always-connected, frequently traveling global executive. Sporting a 3500mAh battery with enhanced power management software, the P770 delivers up to 30 hours talk time between charges, while a unique, “genuine battery detection” function ensures P770 users get the most from their phone. In fact, with USB on-the-go, the P770 can even serve as a charger for other devices, while easily sharing files and data secured by native anti-virus software. Dual SIM capabilities allow you to move seamlessly across networks wherever your job may take you. The A800 strikes a strong balance between performance and price, granting users access to a range of specs that have normally been reserved for much more expensive phones. With a dual core, 1.2GHz CPU and dual SIM slots for switching between data plans on the go, the A800 is a solid performer for work and play. A 4.5-inch FWVGA display, accompanied by a 2000mAh battery, ensures the A800’s performance stands up for photo sharing, games and web-browsing. Best of all, the A800 offers all of this in an affordable package, making it an ideal choice for first-time smartphone users or those seeking an all-round performer on a budget. The IdeaPhoneA690 challenges preconceptions about what can be offered with an entry-level smartphone. The phone is the first in its class to break the 1GHz barrier, offering speed and responsiveness previously unheard of for the most affordable phones. With a 4.0-inch 800X480 WVGA screen, which also surpasses the competition, the A690 delivers an enhanced viewing experience with sharper resolution. The ergonomically designed A690 feels great in the hand and also offers dual SIM capability so users can select the most cost-effective data plan for their changing needs. The newest phones from the IdeaPhone portfolio will be available in China and select regional markets beginning January. Pricing for models varies according to market and model. Lenovo (HKSE: 0992) (PINK SHEETS: LNVGY) is a $US30 billion personal technology company – and one of the top two PC makers globally, serving customers in more than 160 countries. Dedicated to building exceptionally engineered PCs and mobile internet devices, Lenovo’s business is built on product innovation, a highly efficient global supply chain and strong strategic execution. Formed by Lenovo Group’s acquisition of the IBM Personal Computing Division, the Company develops, manufactures and markets reliable, high-quality, secure and easy-to-use technology products and services. Its product lines include legendary Think-branded commercial PCs and Idea-branded consumer PCs, as well as servers, workstations, and a family of mobile internet devices, including tablets and smart phones. Lenovo has major research centers in Yamato, Japan; Beijing, Shanghai and Shenzhen, China; and Raleigh, North Carolina. 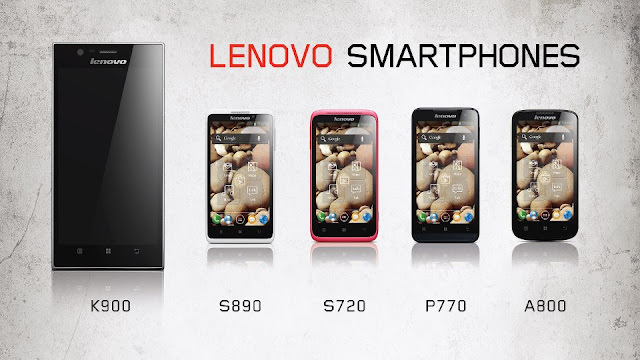 For more information, see www.lenovo.com. LAS VEGAS – January 8, 2013: Lenovo (HKSE: 992) (ADR: LNVGY) today announced its latest flagship smartphone, the K900, a premium smartphone with a super-slim profile whose look and feel make it a must-have for those who will see and be seen with their smartphones. A unique blend of design and performance, the K900 sports a 5.5" IPS screen, one of the best camera arrays available in class and a super slim 6.9mm profile, all running on an Intel® Atom processor. "With the K900, our team has broken down the key functions of the smartphone and redesigned them from the ground up," said Liu Jun, president, Mobile Internet Digital Home, and senior vice president, Lenovo. "Rather than focus on specifications that look good on a datasheet, we've zeroed in on what consumers want and proved that for smartphone users, top performance doesn't require a thick profile. The K900 is a game-changer that looks as good as it performs." As smartphones have become ubiquitous, customer demands on "top-of-the-line" devices have increased, with design and usability growing in importance. The K900 resets the bar on these aspects. At 6.9mm, the K900 is the thinnest phone in its class by a wide margin and weighs in at a mere 162g, making it a device that unobtrusively slips into a jacket pocket or handbag. Made from a composite of stainless steel alloy and polycarbonate in a Unibody mold, the K900 manages to stay strong and look sharp while maintaining its slim profile. 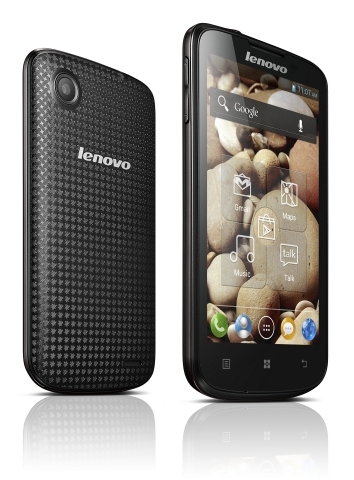 The material alone is not the only aspect that has allowed Lenovo to achieve a design milestone with the K900 however. The rear camera array has been optimized for size with a new sensor and layout that does not protrude from the case, leaving a clean, smooth rear face that doesn't snag on clothing. The design team tweaked the PCB and battery layout to reduce the space used by internal components. And the K900 is topped off by a unique "stripe" ID language that reinforces the thin body and integrates the external components. While the K900 is certainly sleek, it does not ignore the emerging trend toward larger and clearer displays on smartphones. The K900 is one of the first smartphones in the world to combine a 5.5" IPS display with 1080p full high-definition resolution performance at 400+ pixels-per-inch, all under the latest, touch- capacitive Gorilla Glass 2. This gives the K900 supreme clarity and crispness along with plenty of space to capture the nuances of high-definition photos and video, as well as for viewing standard-size web pages. Amazingly for such a sleek package, the K900 does not skimp on performance. Centered on the forthcoming Intel® Atom processor platform for smartphones, the K900 is very responsive, especially for key functions such as web-browsing and application-loading. Although Intel® has yet to release complete specifications for the new chipset, Lenovo has clearly maximized the opportunity to be the first to market with the new generation platform. The K900's camera stands out as one of the smartphone's most distinguished features. As with other functions on the K900, Lenovo has overhauled the camera completely, and delivered a package that is truly greater than the sum of its parts. Megapixels is the first specification that many users recognize for digital cameras, and with 13MP, the K900 ranks at the top of its class in this aspect and combines this with an industry-leading, Sony® Exmor BSI sensor for what would already be considered outstanding performance. With the K900 though, the team has gone even further. Recognizing that customers often need to take clear, flash-less photos in low-light, Lenovo has equipped the K900 with an F1.8 focal length lens, making it the first smartphone to offer such a wide aperture on its camera. Combined with its other specifications, the K900 is now a legitimate stand-in for a digital camera in a smartphone. In addition to these improvements to the rear camera, the front camera has also been widened to an 880 viewing angle, the widest available on a smartphone front camera for convenient self-photos and video calls. The K900 smartphone will be available from April in China, and in select regional markets soon thereafter. Pricing for the K900 will be announced at a later date. *Prices do not include tax or shipping and are subject to change without notice and is tied to specific terms and conditions. Reseller prices may vary. Price does not include all advertised features. All offers subject to availability. Lenovo reserves the right to alter product offerings and specifications at any time without notice.